We’ve just come back from our best weekend yet in Jordan. We were allowed to leave work early (win!) 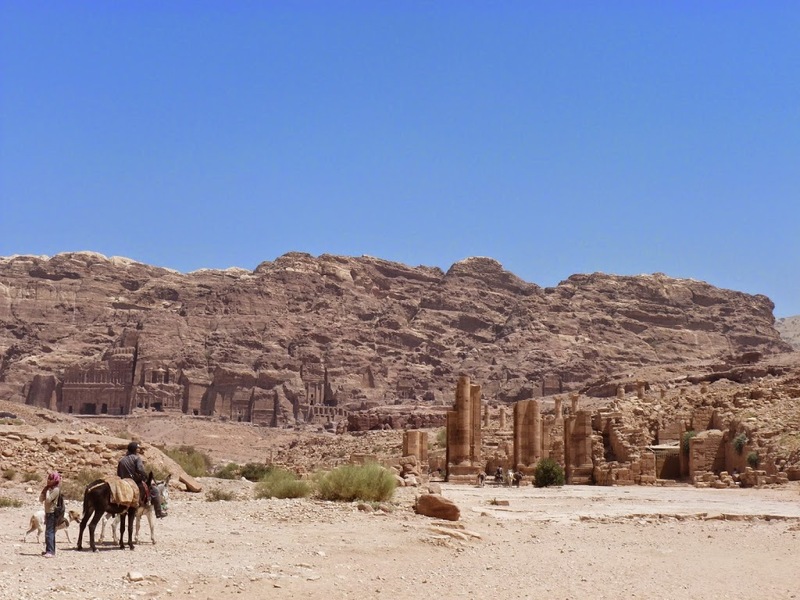 and set off down south, bound for Wadi Rum and Petra. 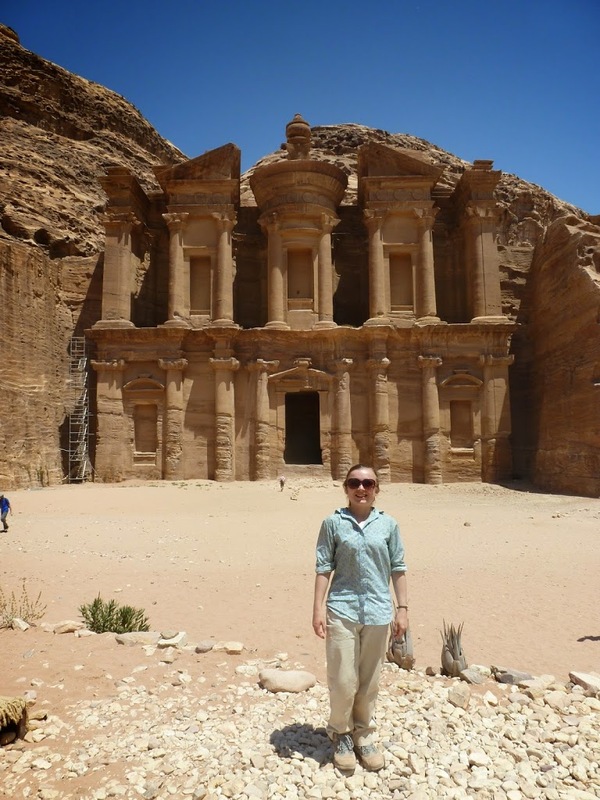 Each one definitely deserves its own post, so I’ll start with Petra. I did a bit – ok, a lot – of research before going, as I find these kinds of places a lot more engaging if I actually understand them. During my research I came across this gem. 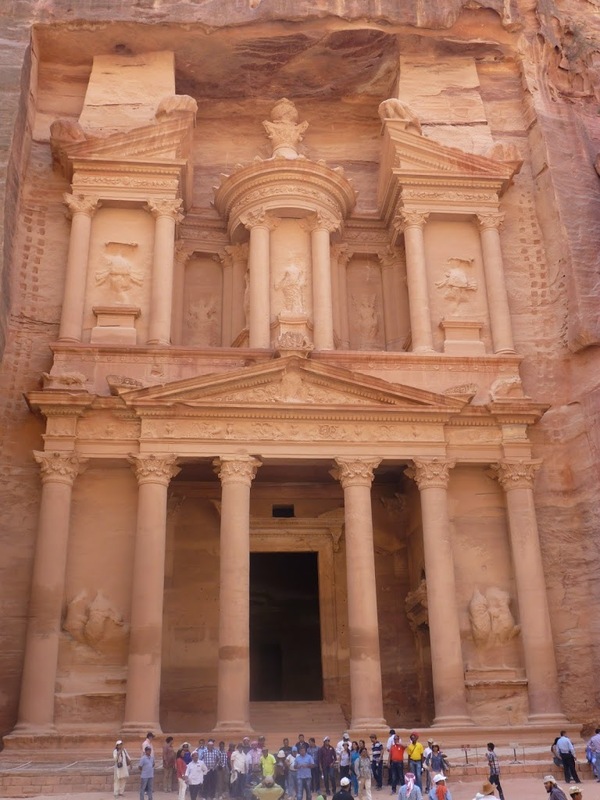 Yes, Petra featured in Indiana Jones. However, it’s also quite a cool place in its own right. 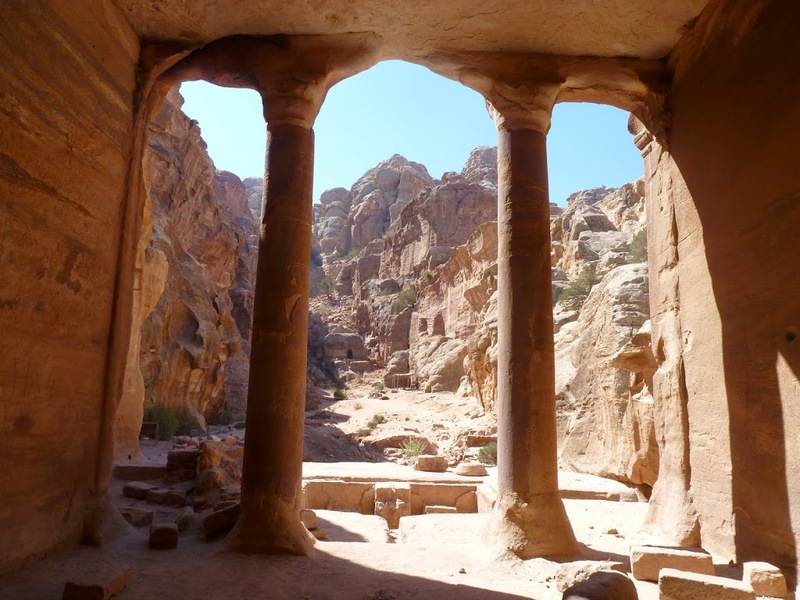 Petra is a Nabatean city that is literally built into the rock, spread across several hills and valleys, and dating from the 6th century BC. It’s the closest to the Misty Mountains/Moria that you’ll ever get without a studio and Martin Freeman. 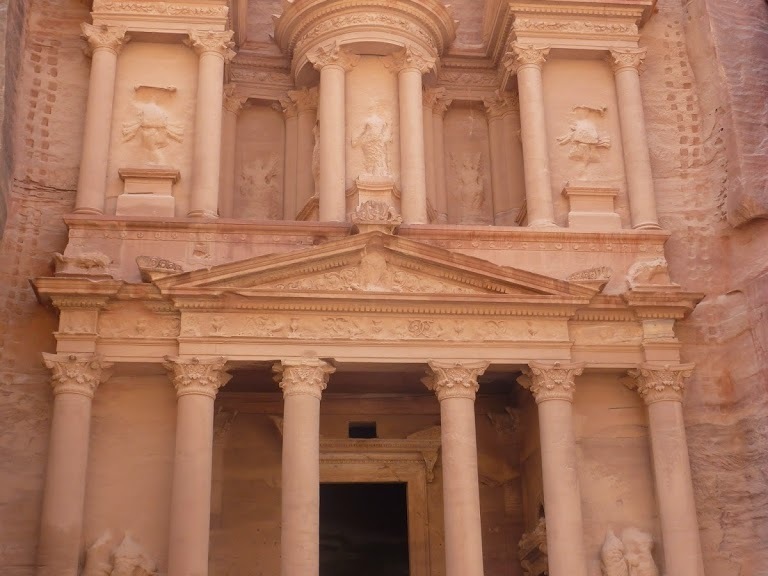 We planned to set off early in order to enter Petra at opening time, with a view to watching the sunrise at the Treasury. (By the way, the Treasury is actually a tomb, but there is a legend that an Egyptian pharaoh hid his treasure in the façade.) Clearly all those rowing early mornings paid off, as I was up at the bright and early time of 5am, and really enjoyed the walk down the Siq (gorge). We reached the Treasury at around 7am. Whilst it was great to get there without the crowds, I was perhaps a little overzealous to insist we get there quite so early. Although sunrise was at 6:10, it didn’t even start to hit the Treasury wall until 8am. I waited with two other keen people for an hour to see this, ignoring the constant invitations to have a donkey ride for a “special price”, and so we didn’t bother to wait and see the Treasury fully lit up. It was a shame, but there were plenty of other great things to see. Whilst the morning was still fairly cool, we decided to get some of the strenuous walking done. There was a steep ascent up to the High Place of Sacrifice. We managed to get lost several times due to some arrows painted on the walls – which we thought led to the High Place, but instead had been cleverly placed there by a stallholder. There were people all around Petra trying to sell us food and souvenirs, but we ended up getting off the beaten track pretty well. After the High Place of Sacrifice, we walked back down the hill on a staircase that definitely wouldn’t have passed health and safety regulations (and was all the more fun for it – definite Hobbit vibes) with its sheer drops and uneven surfaces, passing tombs on the way. Our next plan was to get to the Monastery. 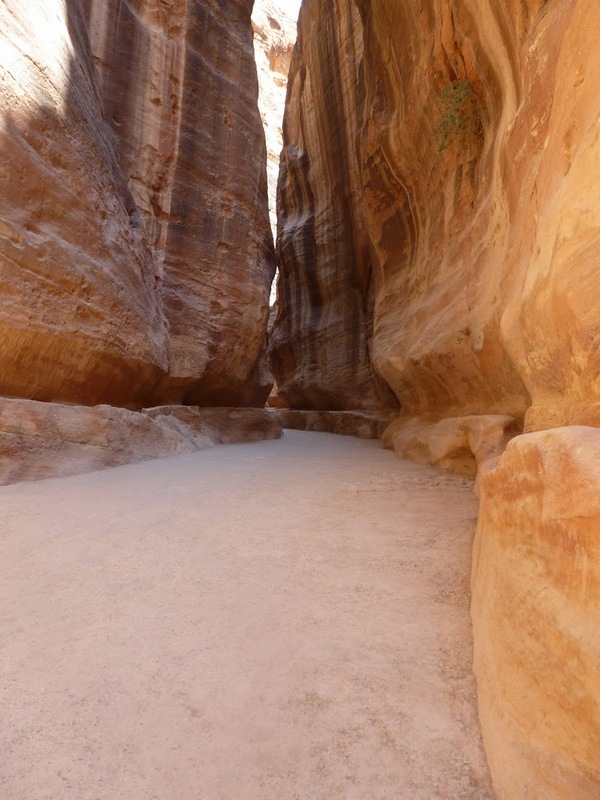 I had heard that this was definitely worth the walk, despite the fact it was well away from the bulk of Petra. It was getting pretty hot by this stage and getting to it would require a tiring 40 minute climb. However, buoyed by a passer-by’s comment that the Monastery was an ‘eye-opener’, we resolved to reach it no matter what. 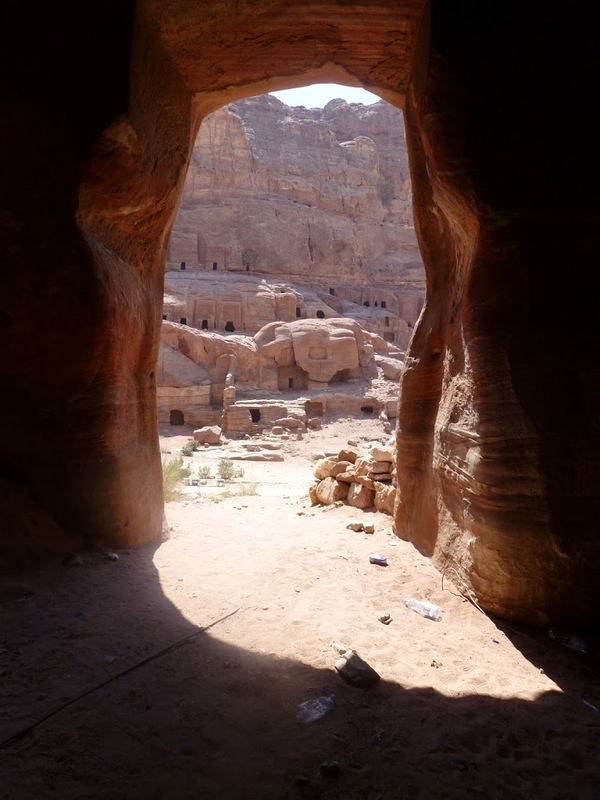 Like the Treasury, the Monastery’s name is a bit of a misnomer, since it’s actually a tomb. It was certainly an ‘eye-opener’, well worth the walk. 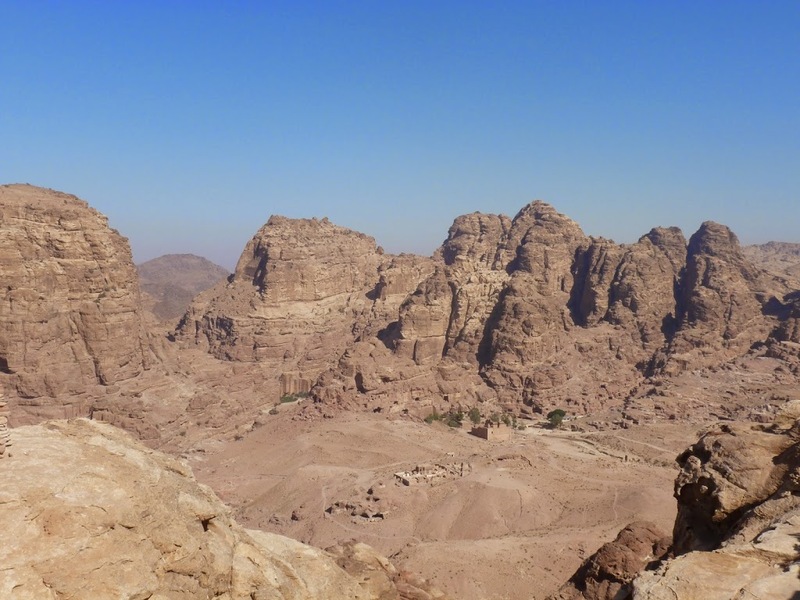 We stopped for a rest and a drink at the top, but time was running short, and I was pretty keen to get my money’s worth of Petra sites. 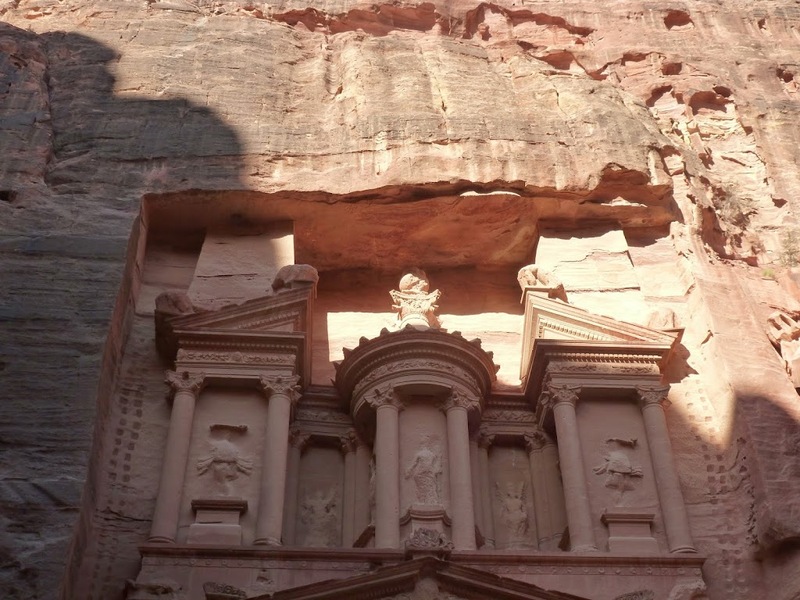 It should be noted that Petra is extortionately expensive. Jordanians pay 1 dinar (about 85p) for entry. 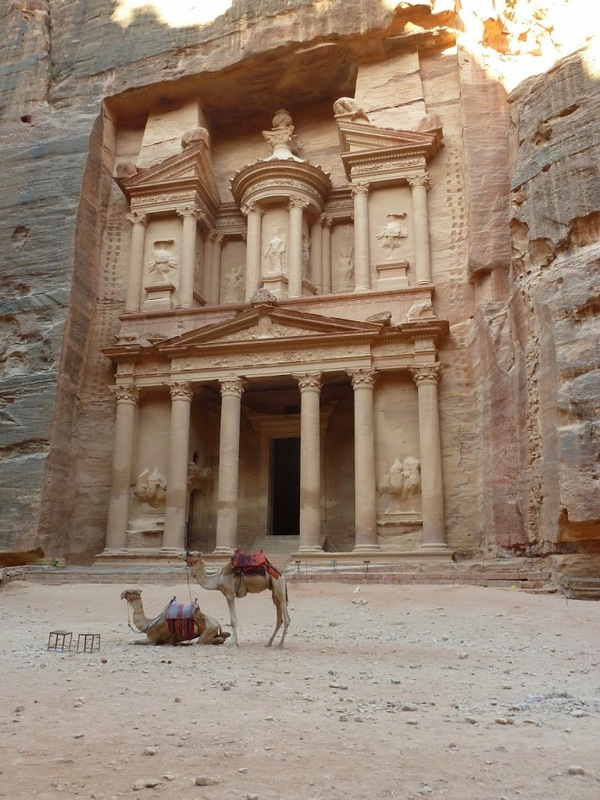 Tourists in Jordan pay 50 dinars, and day trippers from neighbouring countries pay 90 dinars. I think this gives all the tourists the impression that Jordan is very expensive, when the opposite is actually the case. 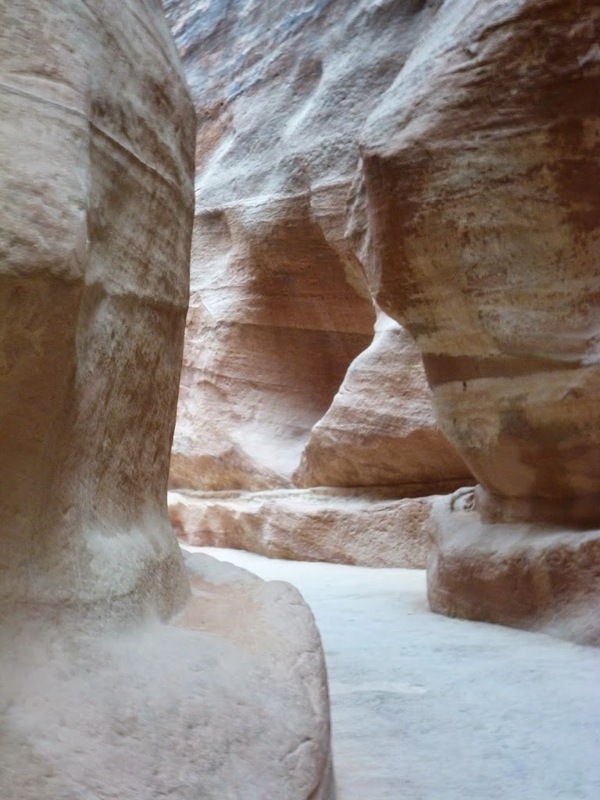 Anyway, there was still a lot of the site to see, so we ventured back onto the beaten track and started walking up through the centre of Petra. 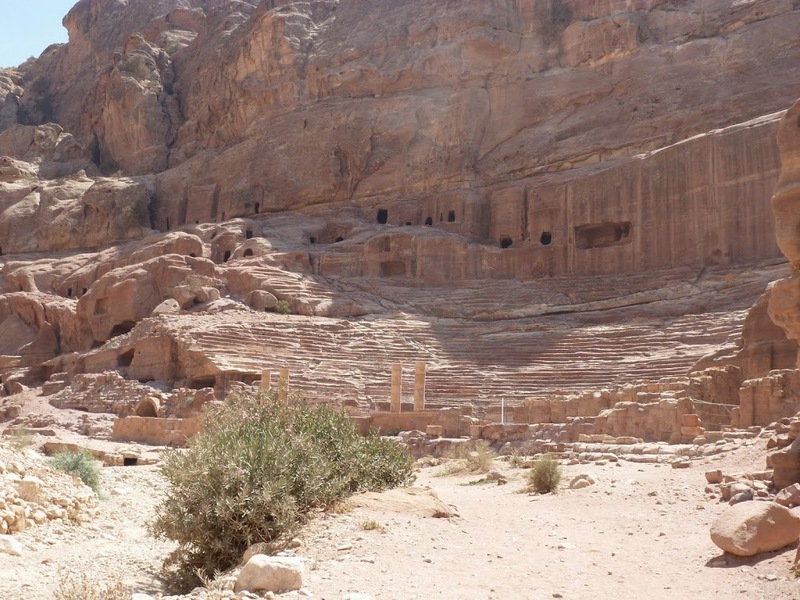 The Royal Tombs and Theatre dominate the whole valley. Unfortunately at this stage we started running out of time, but it felt like we’d at least had a brief look at everything good. Also it was very, very hot. Maybe I will have to come back at some point!